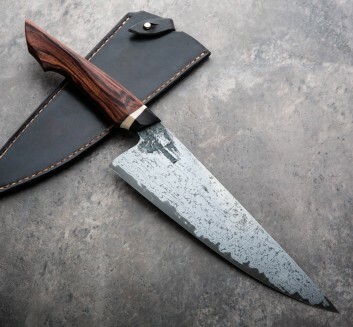 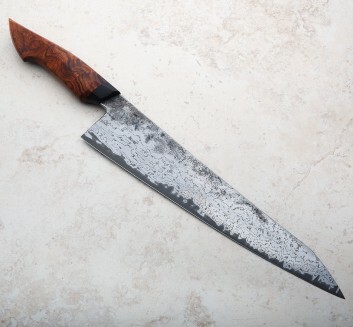 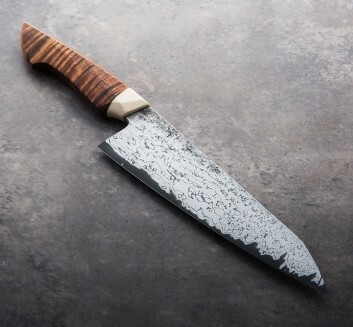  Working in a commercial kitchen in Ireland after moving from his home in The Netherlands, Jelle Hazenberg realized a need for kitchen knives that could perform far above the level of the average blade provided to him. 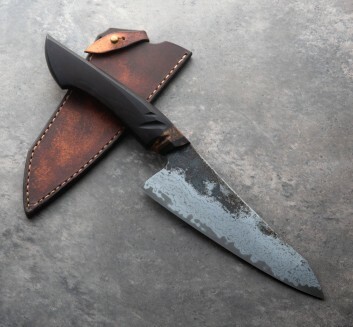 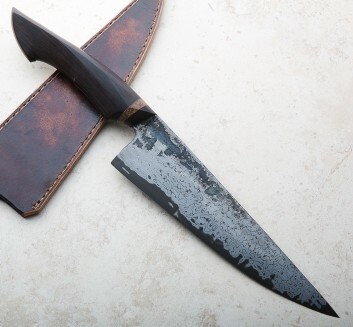 Not only did Jelle begin building balanced, precise, and beautiful knives, he immersed himself in bladesmithing and the related metallurgy, teaching himself to forge, often using iron-clad Japanese steels such as Blue #2 and White #2, combined with water quenching, to create workhorse tools with a stunning aesthetic. 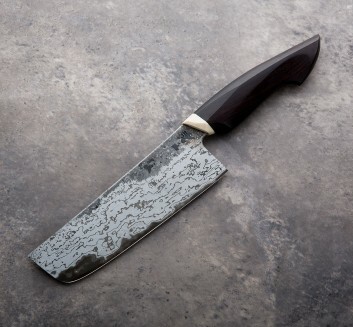 Handles with beautiful curves that fit your hand like a glove while providing for a comfortable pinch grip are topped only be the thin, light and sharp blades that often exhibit stunning shades and textures.